Thick, long, healthy eyelashes are a beautiful thing. So ingrained in our idea of beauty, in fact, that false eyelashes have seen a boom in popularity. Not only the temporary ones that you can apply in your daily makeup routine, but also extensions that require a professional and that last for a long time. However, most eyelash glues contain super harsh chemicals, and removing these “falsies” can rip out natural lashes. All in all, I'd much rather prefer to stick to my natural eyelashes. However, a friend of mine recently had her extensions removed and was asking for advice on helping her natural lashes get back to their healthy, former glory. So I shared with her a few recipes to help hydrate her lashes, and stimulate their growth. I also figured that you guys might be interested in this as well. These recipes are great, even if you don't wear false lashes, or even wear makeup at all. You can also use them on your eyebrows to help encourage their growth. After your long day, make sure to remove all of your makeup before applying (here's my recipe for a DIY makeup remover). Simply dip a cotton swab into the serum and massage it into the root of your lashes, both the top and bottom ones (you can also rub the serum onto your eyebrows). Don't put too much on or it may drip into your eyes. Leave it on over night and remove it in the morning. You can also use a clean mascara wand to apply the serum to cover your lashes for extra conditioning on your existing lashes. Coconut Oil- This oil is super full of healthy, fatty acids and vitamins. These bind to the protein in the lashes to protect both the roots and strands. Coconut Oil is also antifungal and antibacterial which helps protect your eyelashes from falling prey to infections that limit hair growth. Olive Oil- This oil contains a great amount of Vitamins E and K, both of which are necessary for healthy skin and hair. It moisturizes the hair, hair follicle, and the skin around the follicle, helping to promote healthy growth. Castor Oil- This oil is full of healthy proteins, Vitamin E, and fatty acids. Known to be readily absorbed by hair follicles, castor oil will help hydrate and nourish your lashes. It's also helpful in relieving dry, itchy eyes due to allergies. Almond Oil- This oil is the perfect oil to mix with some of the more strongly smelling oils (such as Neem). It’s also full of health promoting fatty acids, Vitamin E, and even calcium. It’ll moisturize and deeply hydrate your lash hair follicles and prevent against them breaking off and falling out! Argan Oil- This oil is full of antioxidants like Vitamin E as well as fatty acids which nourish, hydrate and promote healthy lash growth. Argan oil is especially great for reversing damage done through harsh chemicals, such as lash glue and mascara. Jojoba Oil- This is not a true oil. It's a liquid wax and it has made its way to prominence in the cosmetic industry since the 1970's. Jojoba oil helps to unclog blocked follicles and stimulate healthy hair growth. It can also clear up quite a few skin irritations that lead to hair loss. Neem Oil- This oil may smell awful, but it's worth putting up with the smell for the results. Neem oil is one of the best oils for eyelash growth, period. 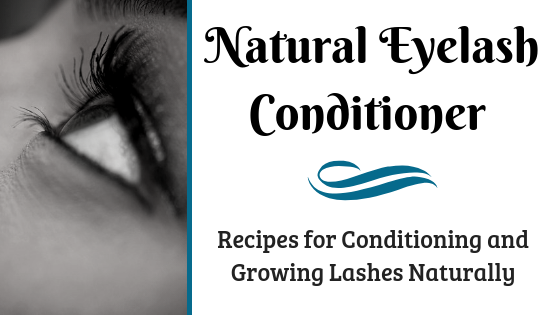 It’s rich in the fatty acids that deep condition and moisturize dry, brittle lashes. Plus it has regenerative properties that support healthy hair cells and stimulate hair follicle growth and function. Vitamin E- Many vitamins are important to the health of both skin and hair. However, one of the most effective ones is Vitamin E. This vitamin is a great antioxidant that helps promote circulation to your hair follicles. This ensures that they receive proper nutrition and allows your lashes to grow to their full potential. Lemon Peel- Lemon peels contain quite a few vitamins, including B, C, and folic acid. It's also full of other nutrients essential for promoting natural growth of eyelashes. Lemon peels also have the ability to stimulate the cleansing properties in castor oil, helping to repair damage done to the lashes by harsh chemicals. Lavender- This herb helps eliminate free radicals and has been proven to boost hair growth, which makes it ideal for eyelash growth too. Lavender oil also has anti-parasitic and antibacterial properties, which help to keep your lashes clean and healthy. When lavender is applied around the roots of the eyelashes it stimulates blood flow, making sure that the eyelash hair follicles receive more nutrients while improving regeneration of the skin. Rosemary- Rosemary is one of those herbs that always comes up when natural hair care is discussed. The herb is widely known for its ability to boost healthy circulation, cellular regeneration, and hair growth. Rosemary is not only good for hair growth, but also helps reverse signs of graying. All of these properties help keep the eyelashes looking more plump and healthy. Essential oils are wonderful for so many reasons. However they are strong, so strong that I advise caution while using them. Certain essential oils can be so strong that just the scent of them can trigger seizures in certain individuals. They are also quite irritating to mucus membranes. When you are dealing with any recipe that may be used around your eyes, I would recommend you leave out the essential oil and, instead, use the herb itself. It may require more patience to get the desired result, but it is much more gentile and has less of a chance to trigger an extreme reaction. While there are quite a few recipes, floating out there on the web, that include essential oils for use in eyelash serums, I am personally not comfortable using them. One of my rules as an herbalist is that if I am uncomfortable using something for myself, I won't recommend it for someone else. Warm the coconut oil over a double boiler and add in olive oil. Break open the Vitamin E capsule and add the contents to the other oils. Mix well and remove from heat. Pour into an air-tight container. This recipe will keep for 6 months or more as long as you do not expose it to water or humidity. Warm the coconut oil over a double boiler. Once the coconut oil is melted, remove from heat and combine with castor oil, almond oil, and lemon peel in an air-tight container. Close and place in a cool, dark area for 3-4 days. Break open the Vitamin E capsules and add their contents to the mixture. You do not have to remove the peel before use. This recipe will keep for 6 months or more as long as you do not expose it to water or humidity. Warm the coconut oil over a double boiler. Once the coconut oil is melted, remove from heat and combine with jojoba oil, argan oil, rosemary, and lavender in an air-tight container. Close and place in a cool, dark area for 3-4 days. Break open the Vitamin E capsules and add their contents to the mixture. You do not have to remove the herbs before use. This recipe will keep for 6 months or more as long as you do not expose it to water or humidity. Warm the coconut oil over a double boiler. Once the coconut oil is melted, remove from heat and combine with neem oil, almond oil, rosemary, and lavender in an air-tight container. Close and place in a cool, dark area for 3-4 days. Break open the Vitamin E capsules and add their contents to the mixture. You do not have to remove the herbs before use. This recipe will keep for 6 months or more as long as you do not expose it to water or humidity. I hope you enjoy these eyelash conditioners. If you have any questions or comments, please leave them below!